Fantastic effort at the Northern Beaches Branch Championships held at Palm Beach by our Champion Lifesaver team! 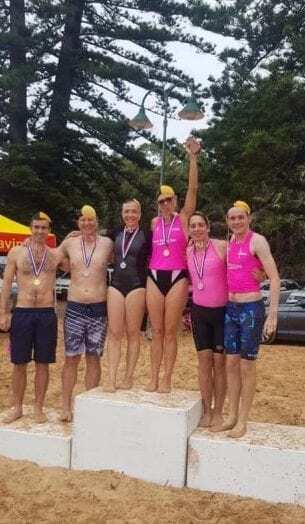 With 2 golds and 3 silvers, North Steyne dominated the podium and demonstrated yet again our awesome lifesaving skills. A special mention goes to Nipper parents and new bronzies Sarah and Chris winning silver medals in their first ever carnival. Joe Jenkins, the reigning Australian champion, won many of the physical events, but was not in the medals as he was away for the “dry” components of the competition in the u17 Male. However, watch out at the upcoming State Championships on 24 February.